I have always been in love with taco soup. It is a quick meal that is easy to put together, but cooking it all in an instant pot makes it even easier. This instant pot taco soup can be made using the the sauté mode and also cook the soup in only 5 minutes. This makes the clean up so much easier because you can prepare the meat and vegetables all in the instant pot before you cook your soup. I have a demo of this video on my Facebook live! You can tune in with me every Monday night at 6:00 pm MST and Thursday at 1:30 MST! If you are looking for more instant pot recipes check out our recipe index for more ideas! 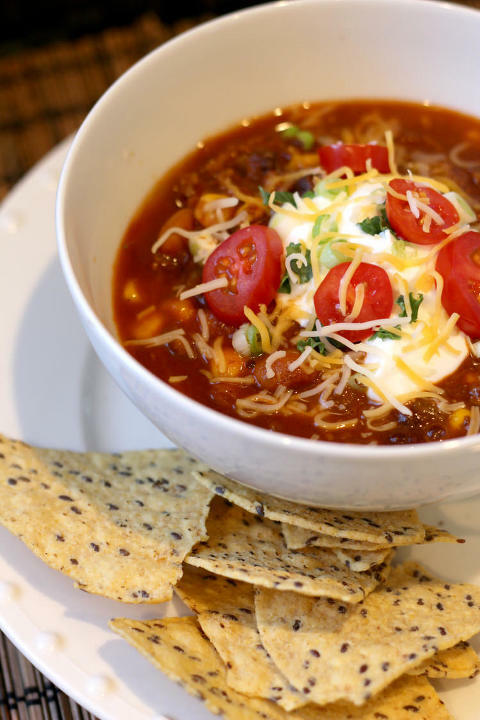 This taco soup recipe is just the right comfort food for a cool chilly night. It is also extremely healthy and packed with high protein, vitamins, and minerals. Start with your instant pot on saute mode and add your chopped onion and olive oil to pot. Sautée for 3-5 minutes or until translucent. Add ground meat and brown in pot with onions. Add water, taco seasoning, and green chillies. Cook and break up meat while on sauté mode. It isn't necessary to cook meat all the way through at this point as it will finish cooking when other ingredients are added. Add beans, tomato sauce, crushed tomatoes, corn, and olives. Cancel sauté setting and switch to manual cooking mode on high pressure. Seal lid and cook on high for 5 minutes. You can choose to let it release on it's own or release it manually. Stir. Dish up with your desired toppings! Fresh avocado and cilantro add so much! 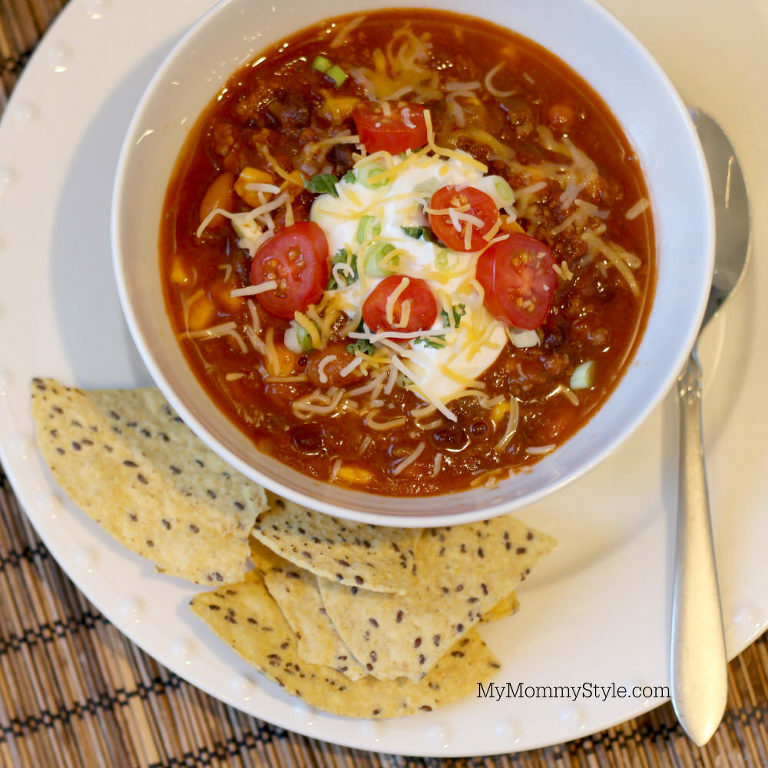 I really like my taco soup creamy, so a scoop of sour cream adds so much for me.